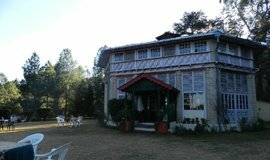 Ranikhet is a beautiful hill station and cantonment area located in Almora district of Uttarakhand,popularly Known as "Queen of Meadows".Ranikhet is famous for rich flora and fauna equipped with clean well maintained roads, rich greenry, peace & tranquility,neat & cleanliness prevaling which is landmark of army cantonment areas everwhere. 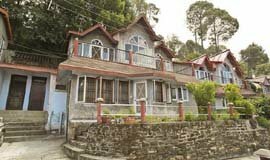 It is the home for the Military Hospital, Kumaon Regiment (KRC) and Naga Regiment and is maintained by the Indian Army.Ranikhet is at an altitude of 1869 metres and within sight of the peaks of the Himalayas infront of eyes. 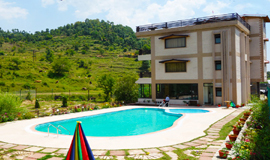 The 3-star Ranikhet hotels resorts are found right on their own little stretches of the wonderful pine & deodar forests around the hill station.This cantonment area provide blissful relaxation during the day,offering cooling respite from the heat of the sun.During the evenings, travellers can enjoy cooling breezes and uninterrupted views of the spectacular Himalayas, with some resorts even providing the seperate floor for watching the sunrise and sunset. 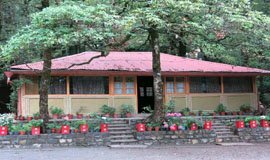 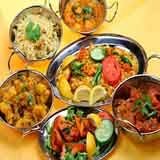 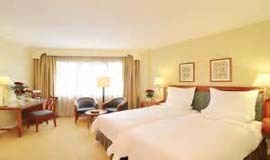 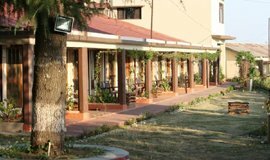 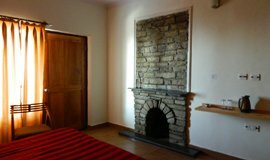 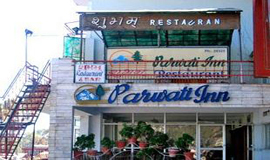 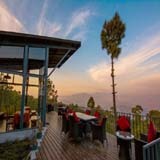 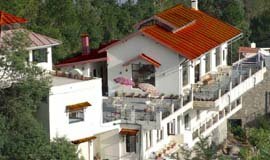 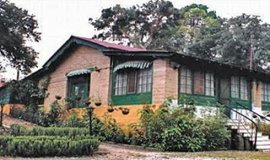 The 10 best 3-Star Hotels in Ranikhet in below list offer much more than just access to local attractions and views.These three star Ranikhet hotels provide first-class facilities, great dining and entertainment options, comfortable rooms, excellent service and other important attractions and conveniences. 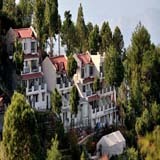 Most importantly of all, they guarantee their guests a relaxing, enjoyable, unforgettable holiday experience. 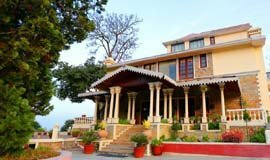 From the ancient temples to nascent built orchards and parks, Ranikhet offers a journey that starts from glorious history and ends up bringing you to an era of development and technological advancement.Amongst the beautiful scenic vista of Ranikhet lie some beautiful places and scared temples that are worth visiting. 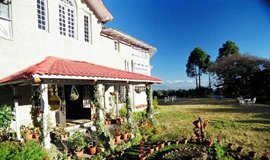 Gently enveloped amidst dense pine and deodar forest, with a majestic background of Himalayas,�Ranikhet�indeed has a breath-taking and pristine charm. 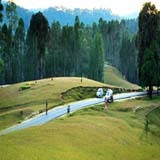 The tranquility and beauty of this place is unmatched and unscathed. 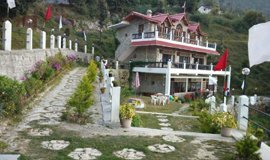 Away from the hustle-bustle of popular hill stations in India, this is a perfect destination for those who are looking for a calm and peaceful holiday. 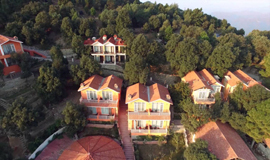 Among the 10 three star hotel in Ranikhet the most popular one are Welcome Heritage Windsor,Woods villa Residency,Chevron Rosemount.There are 2 Luxury hotels in Ranikhet which are priced above INR 4500 tariff per night inclusive of breakfast & taxes.Luxury hotels in ranikhet include premium amenities like swimming pool, fitness centre or gym, bar/lounge, restaurant, Wi-Fi,bathtubs, jacuzzi, sauna, massage services, valet parking, banquet hall and conference rooms and dry cleaning services for business meetings. 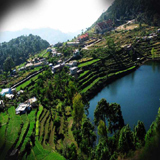 Tourists visiting Ranikhet can also plan a trip to Kausani, which is approximately 60 km away. 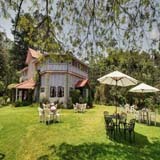 This hill station is home to a number of attractions, including Tea Estate,Anashakti Asharam,Sarlah Asharam,and Sumitra Nandan Pant gallery. Apart from visiting Kausani, travellers can pay a visit to Almora(Binsar), which is famous for its Binsar Wild life sanctuary,Sweets and famous Jageshwar and Chitai temple.